My client was a mum with a 5 years old boy who was quiet bright and smart child. They have an issue of a space and came to me to get an idea how to create living and learning space for boy’s room. We had to go for an option of the coach which is transforming to a comfortable bed. In this case room looks tidy and stylish and can easy transform for a play games, sleeping area and also has a small space for the desk and a big storage. 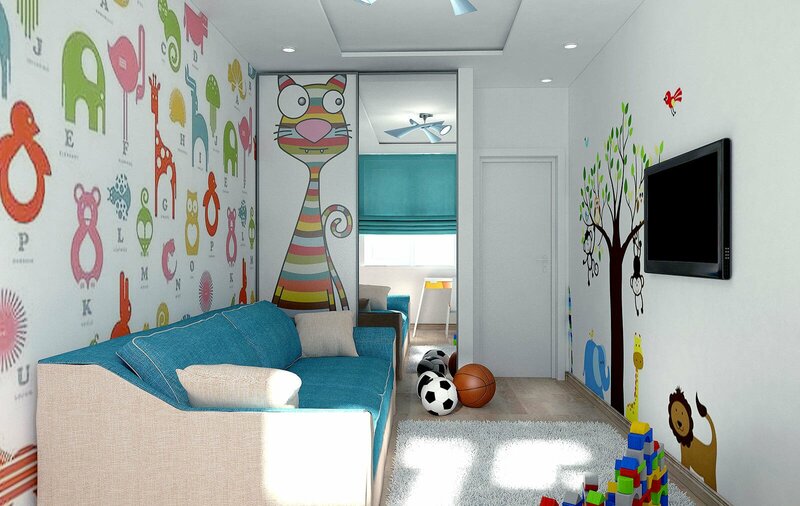 Mum was delighted with 3D visualisation and managed to create a nice and stylish room for her child without involving interior designer.